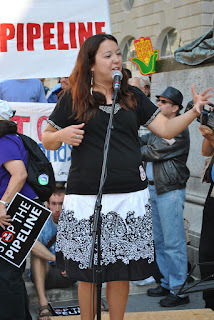 In the fall of 2016, I was swept into the Standing Rock water protector movement by the words of Kandi Mossett, a member of the Mandan, Hidatsa and Arikara Nations. “Women, in my culture, are the keepers of the water. Men are the keepers of the fire. It’s no coincidence that when we’re pregnant, we carry our babies in water. And the understanding is that water is the first life. It’s our very essence. Our very being is made up of water. Flows through us. And it flows through from the rivers, to the sky, back down in that circular way. And it’s an understanding of the cycle and the natural order of things. It’s just so much bigger, though, than just one pipeline. It’s the fossil fuel industry. It’s ultimately going to be something that comes back on us as humanity. It doesn’t matter the color of our skin, it doesn’t matter our religious background, when we desecrate the water, we desecrate ourselves. Her words resonate deeply. I carried and birthed a daughter. Clean, pure, healthy water is needed by every person and deserved by every child. Ordinary water becomes extraordinary in the Sacrament of Baptism. As an Oregonian, I know well the cycle of rain, evaporation and more rain. I have followed a river downstream where fresh and salt water mix in estuaries. Privileged with good water to drink, I am sad when I hear of people and places without safe, plentiful water. I become angry when greed and carelessness cause water shortages and pollute streams and aquifers. On this day when we celebrate the birth of Mary's son, I think of the water, the umbilical fluid, which cushioned Jesus' donkey ride in his mother's womb and burst forth signaling the time of delivery; the water that bathed the newborn child; and the water which quenched Mary's thirst, hydrating her body so she could produce milk to feed her baby. “I am protecting the very essence of what I am made up of which is mostly water. I am protecting that for my future generations – All those who can’t speak for themselves. Not just the babies but everything that flies in the sky, all those that swim in the waters, the four-leggeds. Somebody has to speak on their behalf because they don’t have a voice." Prayer: For Christmas this year, may all of God’s children have safe, pure water. Together, may we be prophetic voices to protect water for all. Water is life. Amen. 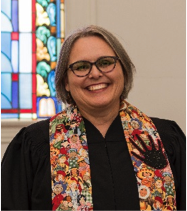 Kathy Keener is interim pastor at First Presbyterian Church of Pendleton, Oregon. She grew up in Oregon’s ‘Ecotopia’ and attempts to integrate sustainable practices in her life. Kandi Mossett is a Mandan-Hidatsa-Arika warrior mother from the Fort Berthold Reservation in South Dakota. 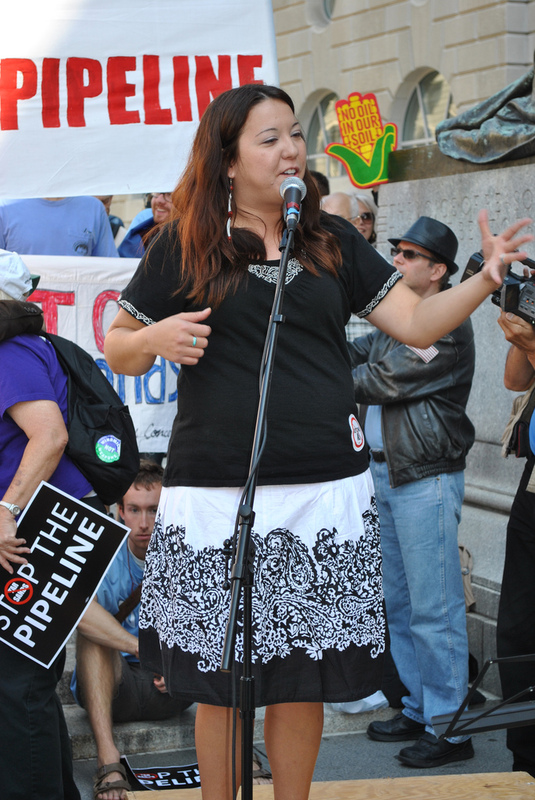 She works with the Indigenous Environmental Network. 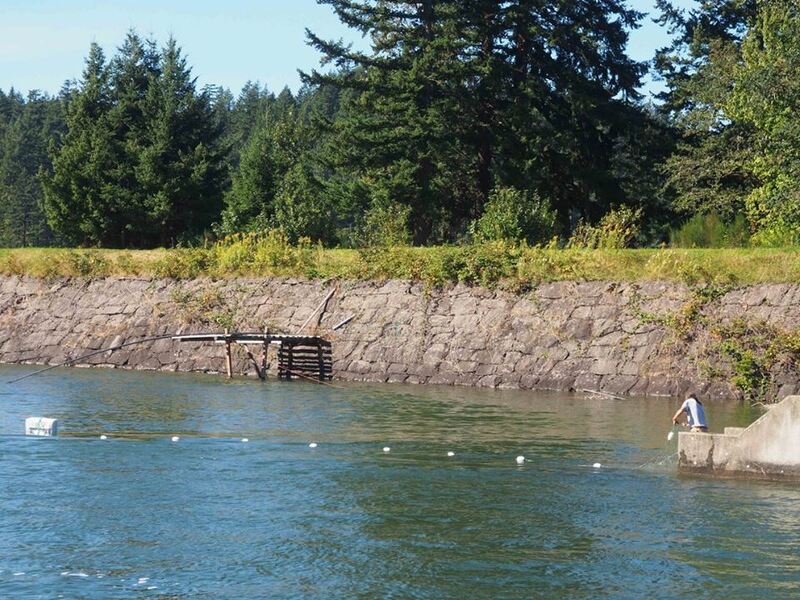 Sam Davis spent the summer fishing on the Columbia River. With Nez Perce tribal rights, he set gill nets to catch salmon. This year, with warmer water temperatures, aquatic weeds and grasses tangled in his nets, so they could not be left in for the usual time. The nets became too heavy. The river bottom is filled with silt where it used to be fine pebbles that the fish liked. In May this year, Sam came to fish the Columbia River, but the water was too high to fish. He went home to Idaho to fish the South Fork of the Salmon River, then he went up to the Sawtooth Mountains. Sam returned to the Columbia for the rest of the summer. During the weeks of the Columbia Gorge Fire, Sam continued to fish with almost zero visibility due to dense smoke filling the Gorge. Prayer: God, we read John’ revelation and Sam’s words calling attention to your water. We also see where restoration and new life are needed in your creation. As we await your return, may we together work for the healing of the water and land. Amen. Advent is about the need for Jesus and for God’s healing restoration of the world. Water is the first food needed for life. Salmon is a major source of food for native people of the Columbia River Gorge and its tributaries. When the US Government moved Native People from their usual lands to reservations, less healthy foods (wheat flour, lard and salt) were the staples supplied/ introduced to tribes who were accustomed to a diet of salmon, deer, root vegetables and berries. Today, there is a growing movement to restore Native American health by reclaiming traditional diets and food-ways and increasing access to nutritious food. Rev. 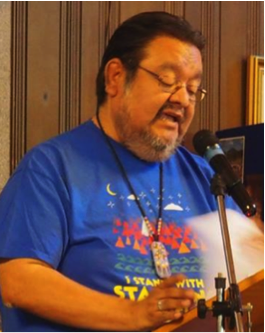 Irvin Porter is Associate for Native American Congregational Support in the PC(USA). He is cultivating health in the 95 churches and chapels of Native American Presbyterians, which are part of the Presbyterian Church (USA). These congregations need sustainable resources to bring spiritual food to their communities. 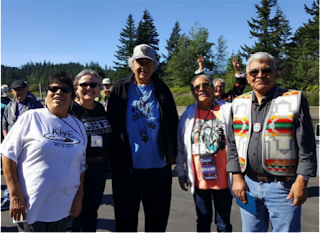 Irv focuses prayers and his energy to the Native American Youth Conference and its Youth Council to form young leaders. Of the four adult advisors to the last conference, three were participants as youth and the fourth was the conference organizer! Most Native churches are served by older commissioned ruling elders (lay pastors) and retired part-time clergy. Irv is raising funds for an endowment to support the Youth Conference. Prayer: God of all life, may our relationship with you recognize how closely our wellbeing is tied to that of all creation. May we honor the inextricable connection between nutrition, food, health, the land and the relationship of Indigenous People to the land and water. Amen. Rev. Irvin Porter is descended from three Native American tribes: T’hono O’odham, Pima, and Nez Perce. He grew up in Phoenix, Arizona and has also lived on the Nez Perce Reservation in Idaho. He serves part-time for the PC(USA) as the Associate for Native American Congregational Support. 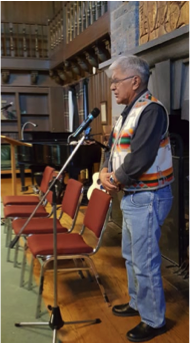 Irv is also pastor of the Presbyterian Church of Indian Fellowship, an urban Native PC(USA) congregation in Tacoma, Washington. He is their first Native American pastor in the 141 years since the church was founded among the Puyallup Indians. Irv and his wife live in Puyallup, Washington. 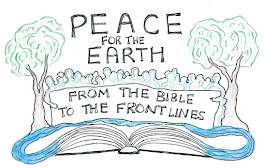 This comment was made about Presbyterians for Earth Care’s 2017 Conference held in September near Portland, Oregon and is similar to what we hear after every PEC Conference. Donations from people like you have made these face-to-face experiences possible every two years or so for the last 20 years. As a non-profit we depend on your year-end donation so we can continue to prepare and present more “Christ-centered experiences.” The steering committee has committed to give $9000 to PEC and challenges you and your congregation to match it. Your gift will also help us offer you more enriching experiences through our Advent and Lenten Devotionals, our new "Earth Action Reflection Theology and Hope" (EARTH) e-newsletter, the many Earth Care resources on our website, and conversations with your Regional Representative. 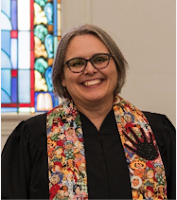 Please consider making a tax-deductible donation of $25, $50, $100 or more so PEC can spread the word about caring for God’s creation to more Presbyterians and congregations. No gift is too small. Your interest and your efforts at protecting God’s creation are appreciated and honored. Thank you for walking gently on this planet that we all share. Water is Sacred! That’s the Lord’s refrigerator! Mary said, “With all my heart I glorify the Lord! In the depths of who I am I rejoice in God my savior. He has looked with favor on the low status of his servant. Look! From now on, everyone will consider me highly favored because the mighty one has done great things for me. Holy is his name. He shows mercy to everyone, from one generation to the next, who honors him as God. He has shown strength with his arm. 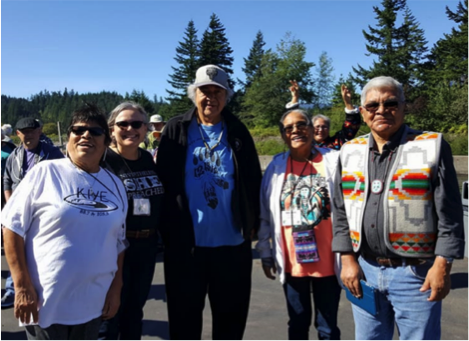 People came from throughout the country in solidarity with those who live in the Columbia Watershed declaring, “Water is Sacred!” It feels encouraging to learn that someone else cares to better your circumstances; that someone cares about your water. When your family fishing grounds have been flooded over. When the temperature of the river water is rising, so that fish are hiding in deep holes instead of swimming in their usual riffs. When anglers find parasites on the outside and worms curled up in the meat of the fish. When chemicals are causing mutations. 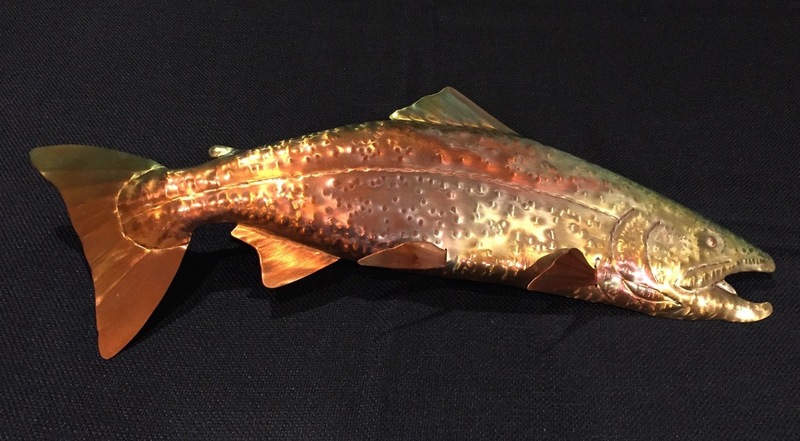 When few salmon make it past dams to the spawning ground. Mary sings with joy and amazement about the grace of God who chooses a Hebrew teenager to bear the Son of God into the world. She isn’t royalty or upper class, yet she is chosen over those women and men. Mary’s song infers that by choosing her, God’s justice has turned the tables on the rich and powerful. Embodied in her is a gift of the continuing mercy that God promised generations ago to her ancestors. Prayer: God of sacred water and just living, hear our prayer for the healing of the lakes, rivers and streams. Restore the health of the fish and creatures that live in your waters. Lead us to live with care for your creation. Amen. Corbett Wheeler serves on the Native American Consulting Committee for the PC(USA). He was raised in a strict Presbyterian family on the Nez Perce Reservation. His dad’s grandfather was a minister, and the family have all been leaders in Presbyterian Churches. Pictured to the right is Corbett Wheeler. Pictured above are: Jeannie (Wheeler) Strong, Kathy Keener, Sam Davis, Ida Ann (Wheeler) Pinkham and Corbett Wheeler.